Fulmer is a TV college football analyst and the former head coach of the Tennessee Volunteers. He was inducted into the College Football Hall of Fame in 2012. Fulmer currently serves as a consultant and special assistant to Richard Sander, athletic director at East Tennessee State University. He is also a partner with BPV Capital Management in Knoxville. 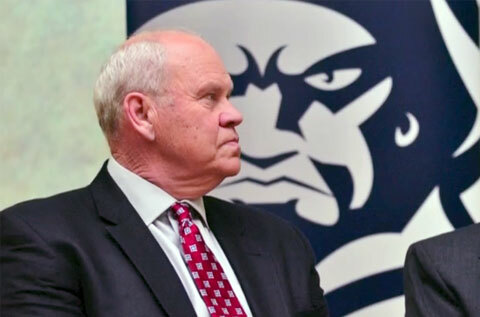 Watch former Tennessee head football coach Phillip Fulmer speaking in 2013 about his involvement with the revitalization of the ETSU football program. Playing Field Promotions is a booking agent for motivational sports speakers and celebrities. If you would like to book Phillip Fulmer for a speaking engagement or personal appearance, contact Phillip Fulmer’s booking agent for appearance & speaker fees at 1.800.966.1380.